The GSR 2 measures sweat gland activity so it actually feeds back information on how hard you are working, or better yet how hard you shouldn’t be working. You put your fingers over the metal sensors and a high pitched tone modulates with your central nervous system activity (CNS). The interesting thing is that it tends to get higher in pitch as you drift into thoughts that trigger intense interest or push your buttons. It mirrors back your level of attachment and addiction to various categories of thought. Strap it on and get to know yourself. Explore your self and find out what really pushes your buttons- where you are when you are not noticing. Better yet, let it all go and watch the pitch drop as you move into deep states of relaxation and a cleared mind. See how well you can clear your mind and stay focused and in the present listening to the signal drop in pitch. It is a great way to exercise your inhibitory control, strengthen your concentration, and gain control over your CNS. Unfortunately it requires practice, which is not included in the purchase price. Buy it, try it and comment back to us. You are beginning your cybernetic journey into spirit- Western Spiritual Praxis. Accessories: Altered States are available upon request. The emwave is more than twice the cost of the GSR 2, but it is more elegant in design and function. 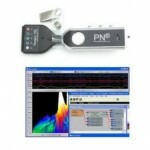 It also measures a different CNS parameter. 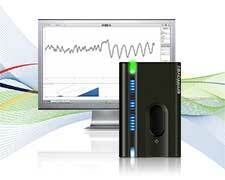 The emwave measures Heart rate variability. While the GSR 2 is good for concentration, the emwave is great for centering and developing compassionate awareness. It is heart centered. It teaches you how to breathe and develop profound states of gratitude and compassion. These are key aspects of spiritual development. Prayer is fundamentally an act of gratitude and interestingly enough it is the emotion that affects the emwave the most, much to the surprise of the cardiologists who originally developed it. It offers different levels of challenge and you can record and track results on your computer, or you can slip it into your pocket and take it with you for those stressful days at the job. An added bonus is that at higher challenge levels it stimulates brainwave patterns found in deeper states of meditation. Downside: Does not include instant Nirvana feature. 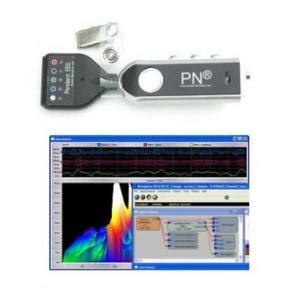 The Pendant is one of the least expensive and reliable devices that works with Bioexplorer software. Together this device and this software provides you with the greatest flexibility and access to Brainwave technology at the lowest price. Brainwave training is a very powerful approach to exploring altered states of consciousness without drugs and like drugs its distribution is controlled by the FDA. If you are a licensed healthcare professional or know of one that would like to explore this aspect of training the brain and the mind then you are in luck. If not, then you will have to rely on more traditional methods and biofeedback devices like emwave, or photic stimulation or isochronic audio entrainment. Brainwave technology is not simple and requires quite a bit of training in order to learn to use it safely and effectively. Different developers are researching ways to make it more available to the general public and this will no doubt occur in due course. In the meantime you may be able to find a local practitioner or someone who will work with you over the internet to train with this technology. Presently we offer this service for those who are interested. This technology allows you to get feedback on how similar your brainwave patterns are to those who are advanced meditators. Many, though clearly not all, of the electrophysiological features of meditative state have been studied and verified. This information is extremely useful in helping practitioners navigate different states of consciousness and become more clear on the solution space within the spectrum of consciousness that concentrative prayer and meditation occupies. This guidance is invaluable for those having difficulty with finding the meditative experience that leads to Christ Consciousness. It provides direction, support and confidence. It is the ultimate in “meditation with support.” The research has been done and this is a powerful vehicle for harnessing that research and applying it. Copyright © 2019 TechGnostic | Where Spirit Meets Hardware. All rights reserved.